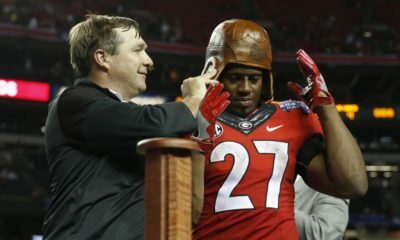 Well, it seems my post on Monday of a possible Georgia-Miami football game in the 2012 Chick-fil-A College Kickoff stirred things up over at the AJC and Athens Banner-Herald. If you haven’t heard, Miami and Notre Dame are close to signing a deal to play a 2012 game at Soldier Field in Chicago, followed by a 2014 and 2016 home-and-home series. 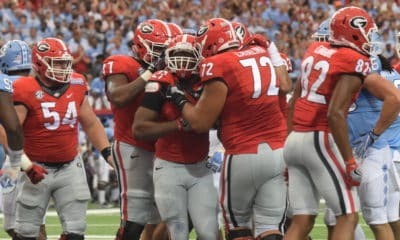 What Tucker and Weiszer learned makes sense for both Georgia and Miami. The Dawgs don’t want a repeat of last year with three non-conference BCS games on their schedule. 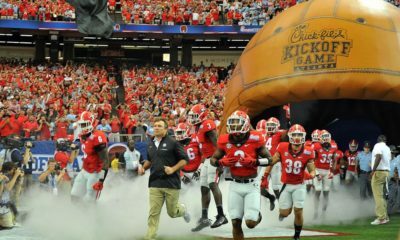 In 2012, Georgia already has games scheduled at Louisville and home against Georgia Tech. As for Miami, their 2012 football schedule currently consists of games at Kansas State, home against USF and a rumored game at home against Cincinnati. With the Notre Dame matchup inevitable, one of those games would have to be canceled. And Miami, and Georgia, don’t want to give up that sixth game at home. 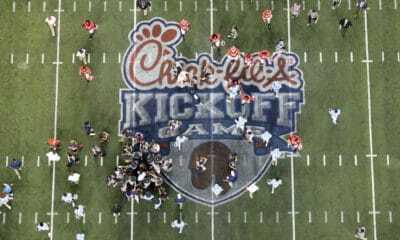 For now, we’ll wait and see if the Chick-fil-A committee can lure Georgia in the future. I’m all for a tough non-conference game in Atlanta, if the rest of the schedule sets up nicely.